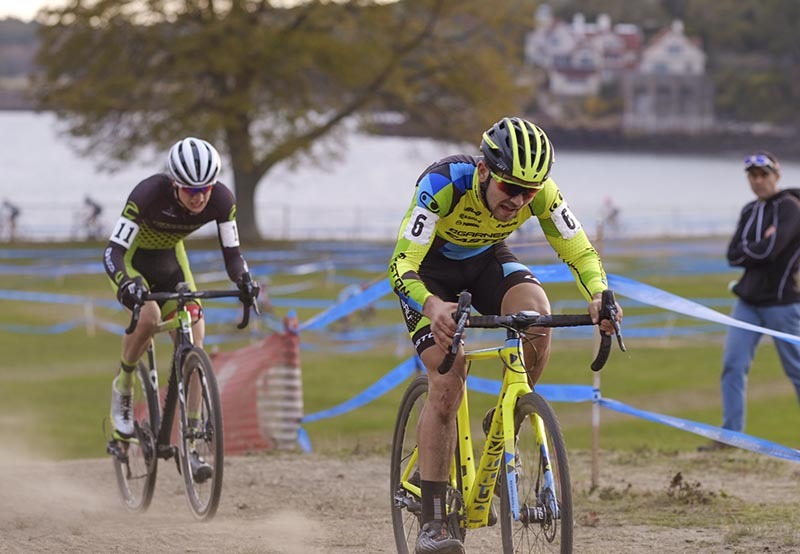 Day two at the CRAFT Sportswear Gran Prix of Gloucester Presented by Ipswich Ale Brewing saw fast, group-style racing on a dusty and incredibly windy course at Stage Fort Park in Gloucester, Mass. With day one winner Ellen Noble (Aspire Racing) sitting this one out, the elite women's field was Helen Wyman's for the taking. For the elite men, it would be Curtis White with his second win on the weekend and Canada's Michael van den Ham (Garneau - Easton Cycling) moving up from 5th on Day 1 to 2nd. 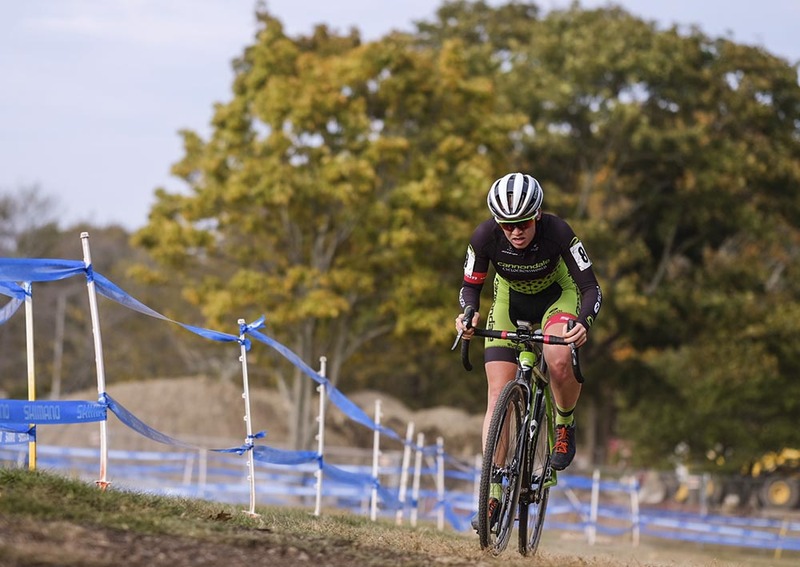 Gloucester was the first weekend of four of the Vittoria Northeast Cyclocross Series presented by Cycle-Smart. 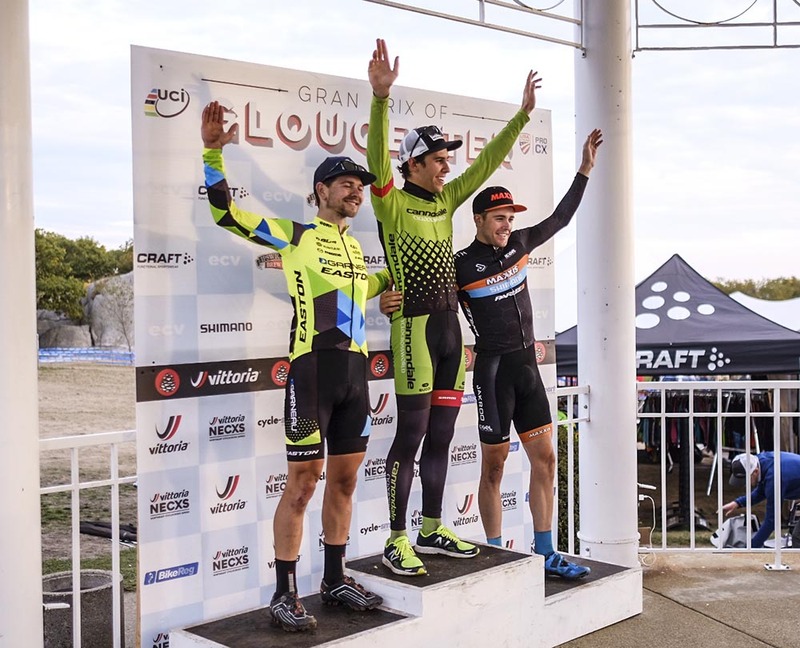 The Vittoria Series is the only UCI series in the U.S. and attracts top racers to compete for the coveted Verge overall Series jersey. Great Britain's Helen Wyman of Kona led from start to finish to take her second Category 2 race win in this year's USA Cycling Professional Cyclo-cross season (Pro CX). From winning the Hole Shot, Wyman set the pace to win in a time of 42 minutes and 28 seconds. Canadians Maghalie Rochette (LUNA Pro Team) finished 5th, Ruby West (Cannondale Cyclocrossworld.com) 6th and Natasha Elliott (Garneau - Easton Cycling) 6th. "It was a good race. I started well. I thought if I could keep pushing out of the corners, then I could get the group small and then see what would happen. After a lap and a half, I think it was just me and Emma. I could see that I was making her struggle occasionally. So I just kept going." With three laps to go, she created a seven-second gap from Emma White (USA) of Cannondale presented by Cyclocrossworld, and she noted that is what made the difference. "And then finally I went into the sand, and she must have had a problem there. I had a gap, so I kept going. It's really hard for anyone to come back when you get a gap on this course." White finished 23 seconds down, with Beverly, Mass. rider Crystal Anthony of Maxxis-Shimano finishing in third, another 18 seconds behind White. White took home the U23 leaders jersey for the Vittoria Series. Curtis White swept the Men's Elite C2 races at Gran Prix of Gloucester. "The New England Worlds, I've been coming here for a long time. It's something special." "It was far more of a tactical race. The course seemed like there's a bit more pedaling involved, a bit more of a power course, the wind played a bit of a factor. There were a couple of points, I hit it in the middle of the race, felt like it was too early, I could feel the wind, hit it with two to go, again, a little too early. One to go was, you know, there were a couple of sections I felt like I could really nail, and try and open up a gap, but it ended up coming back together with a half lap to go. Danny (Summerhill) lead in to the stairs but I was able to get around him and lead through the final corners. I wasn't really looking behind me at that point, I was all in from there." White attacked on the final half of a lap, distancing himself just enough from second-place finisher Canadian Michael van den Ham (Garneau - Easton Cycling), and third-place finisher American Danny Summerhill. Neon Velo Cycling's Jeremy Durrin from Westhampton, Mass. was third in the C2 Elite Men's race on Saturday, and suffered mishaps today. "On the up-down section, I think Michael (Van den Ham) slowed up a little bit, and brake-checked me. I hit the back wheel and just fell over. A few laps later, he crashed in the same place. I just didn't have it today. It felt like I was riding over my threshold the whole day, even just sitting in the group. So I was happy to finish. I didn't think that I was going to finish there for a bit. It was one of those really, really hard days. Those guys at the front really had it today and I did not. I'm glad it is over. And I'm glad I had a good race yesterday." 14 Julie Wright (USA) Team Averica s.t. 21 Marc-Andre Daigle (Can) Garneau Easton Cycling s.t. 29 Case Butler (USA) JAMNCCVittoria s.t. 32 Charles Berhtram (USA) B2C2 Boloco s.t. 42 Tim Willis (USA) KING KOG s.t. 43 Colin Reuter (USA) B2C2 pb Boloco s.t. DNF Peter Goguen (USA) Race C.F.